There seemed to be quite a bit of interest in the Roll a Christmas Tree game I posted about last moth, so I decided we needed a snowman one. 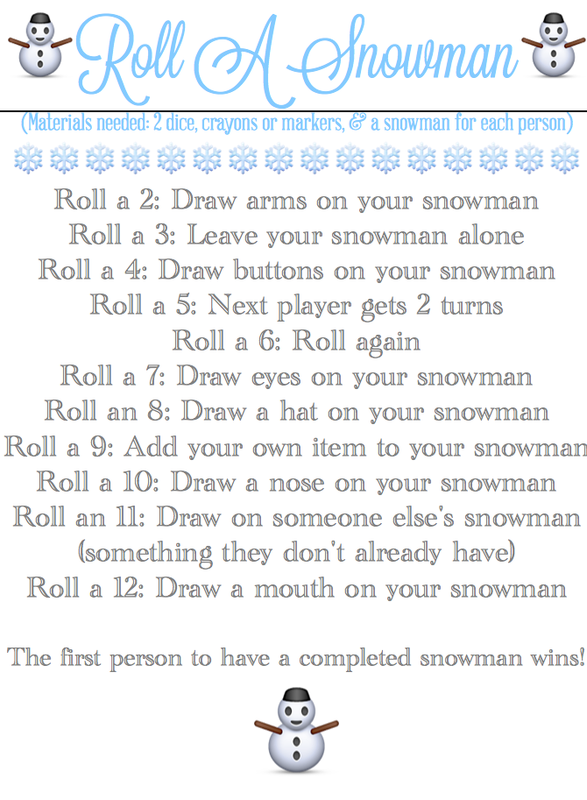 Snowmen are perfect for this game! I had a hard time deciding which snowman elements to use in the game. I couldn't fit all of the ones in I wanted to. There is the 'Add your own item' when you roll a number nine, so anything that I left out could be used on that roll. My boys and I played the game yesterday (I had sick boys- well one sick twin, the other couldn't go to school without him). 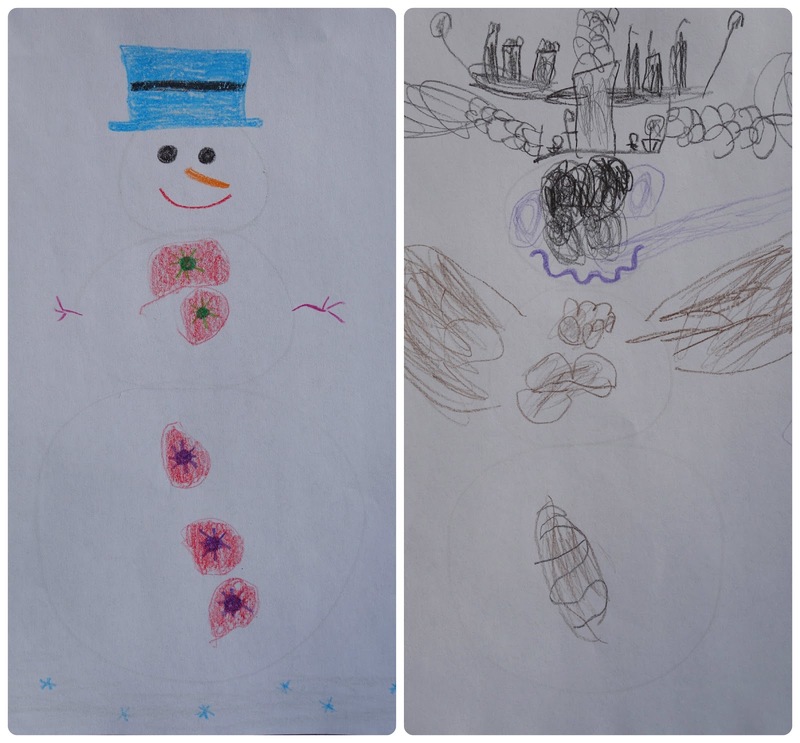 Some of us got a bit more elaborate with our snowmen than others. It's always fun so see how different each snowman turns out. I hope you enjoy the game. I know we always do. The fun thing is we play it over and over and our snowmen are different each time. I'm thinking we need to start a snowman wall to display all of the ones we've made. Click here for the instruction sheet. Happy snowman making! 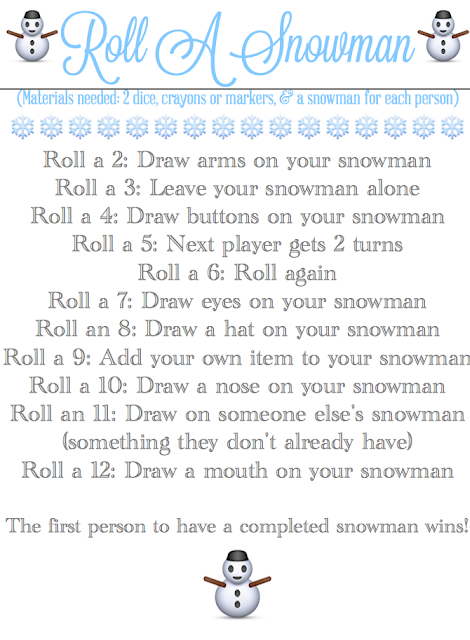 Looks like fun--I love roll and draw games!! I LOVE this idea, Brooke.....and I love that it can be altered for different holidays! THanks for sharing!! I'm loving your variation with the two dice, missed and extra turns and everything! 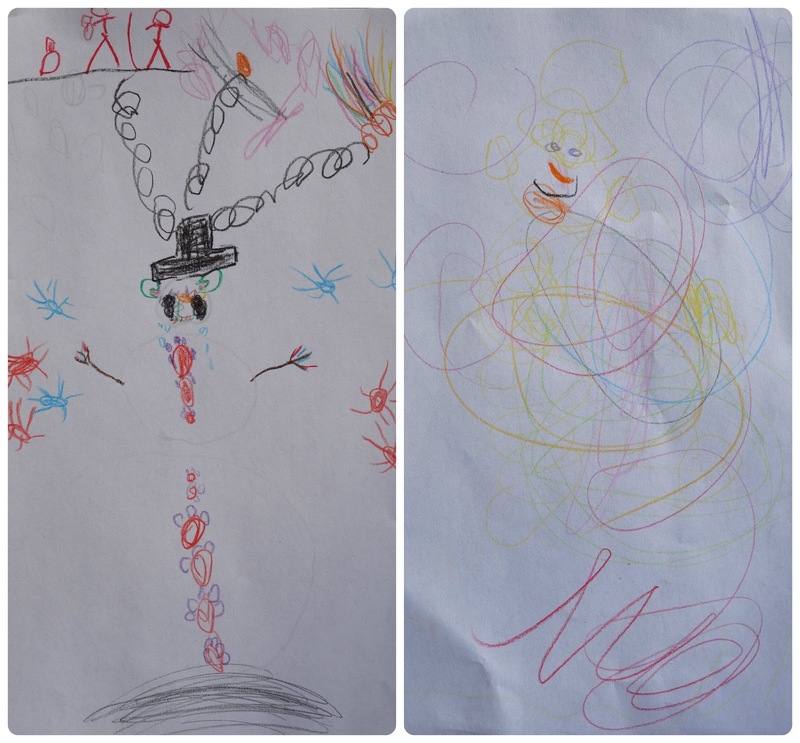 I made my own instructions but we are using your outline for a class party Friday! Thanks a mil! افضل مؤسسة نقل أثاث بالعاصمة السعودية تعتمد علي اجدد المعدات و الالات التى تساعدها في الابادة الفورية للحشرات .